Get some historical perspective at Acropolis of Athens and Erechtheion. 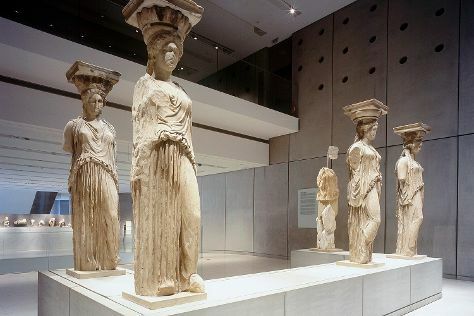 Do some cultural sightseeing at Monastiraki and Acropolis Museum. Next up on the itinerary: explore the world behind art at National Archaeological Museum, kick back and relax at Glyfada Beach, wander the streets of Plaka District, and take in the dramatic natural features at Areopagus. To see photos, ratings, reviews, and other tourist information, use the Athens vacation planning site . If you are flying in from United States, the closest major airport is Eleftherios Venizelos International Airport. Expect a daytime high around 86°F in June, and nighttime lows around 70°F. Finish your sightseeing early on the 1st (Sun) to allow enough time to travel back home.